My association with Rabindra Sangeet, the music composed by the Bengali poet Rabindranath Tagore, goes back to my childhood. Tagore was my first introduction to Indian poetry, and when I met Dr. Reba Som in 2002, her voice revealed to me the beauty of Rabindra Sangeet. Moved by this experience, in 2003 I produced the first of Reba Som’s CDs: Tagore: Selected Songs, published by Terzo Millennio ed. and SAREGAMA. 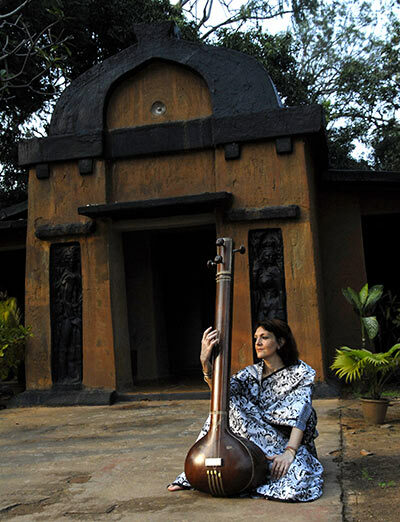 My fascination with Tagore’s music deepened when in 2007 the Harsharan Foundation put me in charge of the performance and recording of 18 songs of Tagore, in the western arrangement that French musicologist Alain Danielou had made for piano and voice in the 30’s of the last century. Being professionally trained in both Western and Indian vocal music, I felt that this repertoire would particularly suit my voice. I worked on this special project with the precious support of M° Ugo Bonessi on piano, and studied the original version of Tagore’s songs under the tutorage of Smt. Pramita Mallik, Pandit Sitamsu Roy, and Dr. Reba Som in Kolkata. All the recordings are published in India by Questz world (www.questzworld.com). 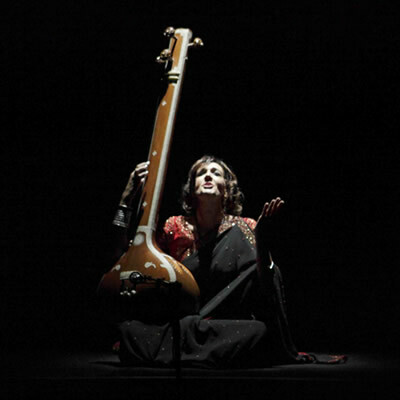 M° Bonessi and I toured India and Bangladesh in 2008, 2009 and 2010, sponsored by the Italian Institute of Culture of New Delhi, ICCR of Kolkata, and Italian Embassy in Dhaka. In 2011 the concert Tagore’s Songs of Love and Destiny was presented at the Auditorium of Rome (Italy) as a Misse en scene, directed by Pietro Faiella, with the special participation of the Italian actor Giuseppe Cederna. The artists received an enthusiastic response from the audience. Among the special guests were the Harsharan Director Monsieur Jacques Cloarec, H. E the Ambassador of India Shri Debabrata Saha, and H. E. the Ambassador of Bangladesh Dr. Masud Bin Momen. In 2008 I received an Orientation Grant from ICCR (Indian Council for Cultural Relations) for a research project on the influence of thedhrupad and Gurbani traditions on Rabindra Sangeet. For research purposes, I had the chance to spend three months at Viswa Bharati University in Shantiniketan, the institute founded by Tagore in West Bengal. It was a wonderful experience that brought me back to Shantiniketan in 2009, when I was appointed Visiting Professor in Ethnomusicology. During this period I was able to enjoy the academic life at Shantiniketan, as well as to continue my research and practice of music in a very serene and memorable atmosphere. CASSIO FRANCESCA, Tagore’s Songs of Love and Destiny in a scholarly and artistic perspective, in preparation for Harsharan Foundation 2013. 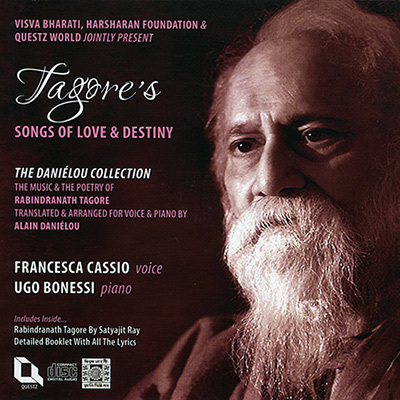 Picture 1 – CD cover Tagore’s Songs of Love and Destiny (Anthology). Picture 2 – Dr. Francesca Cassio performing Tagore’s Songs of Love and Destiny at Rome Auditorium (Photo: Mario D’Angelo). Picture 3 – Dr. Cassio at Shantiniketan (photo courtesy Viswa Bharati University).